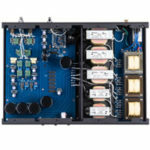 I have been using the Pass Labs XA30.8 as my reference amp for the last 14 months. When it came in for review, I was shocked at how good it was. After an agonizing audition period, I decided it had dethroned my $30,000 Wavac EC300B with Western Electric 300B tubes. The Wavac had held off all comers in my reference system since 2007; truth is I thought it was probably the best amp around at any price if you could get by with eight watts. So, the only question left was how would the mono-block version the XA30.8 sound? At a quick glance, it seems that the XA60.8s are just two XA30.8s wired for mono instead of stereo. 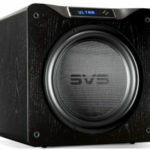 They are rated at 60 watts pure Class A into eight ohms and 120 watts pure Class A into four ohms. The XA60.8 doesn’t leave pure Class A until it reaches 122 peak watts. Then it moves into Class AB for unheard of headroom for a 60-watt amp. Since I have never been able to get the XA30.8 out of their Class A biasing range, it should be no surprise that it didn’t happen with the XA60.8s either. The look of the Pass Labs .8 series of amps has changed somewhat from the .5. The faceplate, in particular, is different. The .5 series had a two-part face plate; the front section had a circular opening framing the large round bias meter which was mounted on a second sub panel. I’ll be honest; I really thought the .5 looked very classy. The new XA.8 series also looks really nice, and I have heard several people say they like the new, cleaner look. Not me, though, I still liked the older look. The XA.8 series has a simple .75-inch front panel that is a single slab of aluminum with beveled edges and the large round bias meter centered on the front face. The meter shows the current draw of the amp. When a .8 amp is operating in Class A, the needle stays at 12 o’clock or very close to it. When the amp goes out of Class A, the pointer may move to the right. It never did this with any of the speakers I used, regardless of how loud I played them, and I like loud music. Like the XA30.8, the XA60.8 is 19 inches wide and 21.25 inches deep. The difference is you now have two of these big and very heavy amps. One other point, be sure they have lots of room to breathe. Like all Class A amps, they run hot. A lot of the amp is taken up with heat sinks, but they still get very hot and draw enough power to cause your electric bill to go up. Be forewarned that the heat sinks are sharp, but I was prepared this time. So, unlike when setting up the XA30.8, I didn’t cut myself this time. My reference system comprises the AMG Viella V12 turntable, DS Audio DW-1 Optical cartridge system, Emia Remote Autoformer, Teresonic Ingenium XR speakers with Lowther DX4 silver drivers, High Fidelity Cables CT-1 and CT-1 Ultimate Reference interconnects, speaker cables, and power cables plugged into an HB Cable Design PowerSlave Marble power distributor. 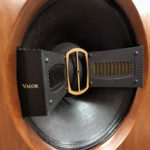 With a shipping weight of 106 pounds each, the hardest thing about setting the Pass Labs XA60.8 up was unboxing them and getting into my listening room. Before I put them in the system, I plugged an iPod into a linestage to use as a source and hooked them up to a pair of old speakers. I let them play in the workroom for over three weeks. I didn’t listen except in the background until they got around 400 hours on them. The reason for this was I had already discovered how much break-in was needed for the Pass .8 amps. The XA30.8 sounded great after 100 hours, but much better after 400 hours. Another thing I should mention is that they take about an hour to warm up after they have been off. There are several differences that do not relate to the sound so much as the fact that the XA60.8s are monoblocks. The advantages are that you can place them closer to the speakers, you can use shorter speaker cables, and they are an impressive sight. Disadvantages are you need two power cords. In the case of the High Fidelity CT-1 UR-Helix power cords, they up the price of the XA60.8 by almost $14,000 over the XA30.8. If you were using the really excellent Audience AU24 power cables, it would only add $2,400 to the price; but still, that is a disadvantage. Another couple of disadvantages are that they produce twice the heat and draw twice as much power compared to the single XA30.8. This review will not be nearly as long as the review of the XA30.8 amp because you can and should read my articles of the XA30.8, and they will tell you nuch about the sound of the XA60.8. I think you would need to live with the XA30.8 and the XA60.8 for a few weeks to begin to grasp the difference in how they sound. I should also remind you, that the difference I hear in my system should not be a matter of power as my speakers are 104dB efficient and an 8-ohm load. Still, there are differences even if they are small differences. The reason for my sharing this quote is it mentions one of the areas where there is a difference between the two Pass Labs models. The XA30.8 comes a little closer to having the ability for the sound to swell and become bigger as well as louder like the Wavac EC300B. I have no idea why this is true. It seemed counter-intuitive to me, and I need to say again it’s a small difference. The XA30.8 and First Watt SIT-1 monoblocks are the only non-single-ended tube amps I have ever heard do this at all. For example, on Ella and Louie, Louie’s trumpet swells, comes to life and gets very loud without a hint of glare or edge. The Wavac and SIT-1 play this in an incredibly alive way. The XA30.8 comes really close to the single-ended tube amps here. The XA60.8 get really loud without losing any control, but they don’t allow the sound of his trumpet to swell spatially in quite the same way. They don’t sound quite as organic nor do they have quite the same big tone sound of the XA30.8. This difference between the Pass Labs XA amps and the Wavac and First Watt single-ended amps is even more pronounced with the mono-blocks. It will be a matter of taste to which you think is better, but as a long-time SET lover, I gravitate more to the sound of the XA30.8. There were some areas where I expected the monos to be superior. The most obvious was in soundstaging, and they were. They produced a slightly wider and deeper soundstage. The soundstage was also portrayed from a slightly quieter and slightly darker background. Overall the monos are slightly quieter. This also produces slightly more sparkle in the top-end and overall a little more detailed and transparent sound. On macrodynamics, I couldn’t tell if the XA60.8 were more dynamic with my super-efficient Teresonic, but when using them with some less efficient speakers like the Fritz I recently reviewed, the Pass Labs seem slightly more so. However, the Teresonic produced slightly quicker microdynamics with the XA60.8 while producing bass that was faster and had more slam than the XA30.8. Unless you need more power, I can’t imagine why you would need the monoblock Pass Labs over its stereo amp. 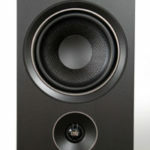 Personally, I slightly prefer the XA30.8, but I know that many if not most systems and speakers will benefit from the extra power of XA60.8 monoblocks. For this old single driver/SET lover, I’ll keep the stereo amp. I have a friend who has owned mega-buck amps from Audio Note, Burmester, and Goldmund, the other day I read a post he made on one of the forums where he said, “the 30.8 just might be the best amp on planet.” So far I agree, but there are speakers that need more power and the XA60.8 is the choice. 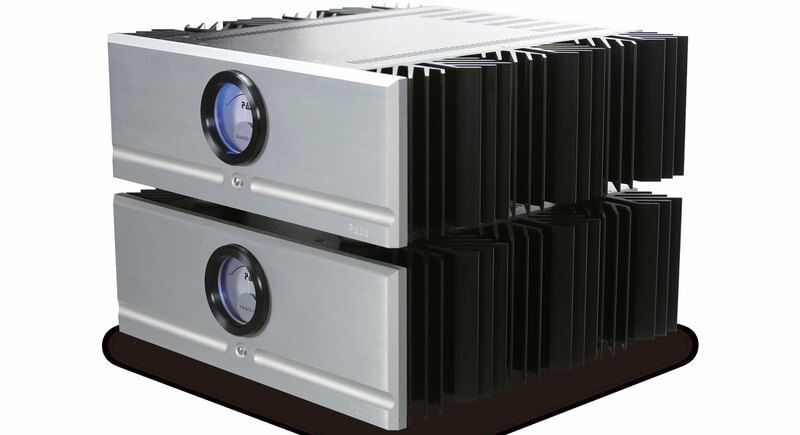 For those of you who need even more power, there are bigger and bigger XA.8 amps.